When Burgess opened for business in London in 1975, it consisted of just two people. Today, the operation has grown to nearly 200 staff in 13 locations around the world, with specialist services encompassing sale and purchase, charter, new-build and refit supervision, operational management, insurance and crew services. In the early years, an 80ft (24.3 metre) yacht was considered large, whereas today an 80 metre (262.4ft) yacht is not unusual; a €1m yacht sale was a rare deal in the past, but today the largest yachts can be valued at hundreds of millions of euros. 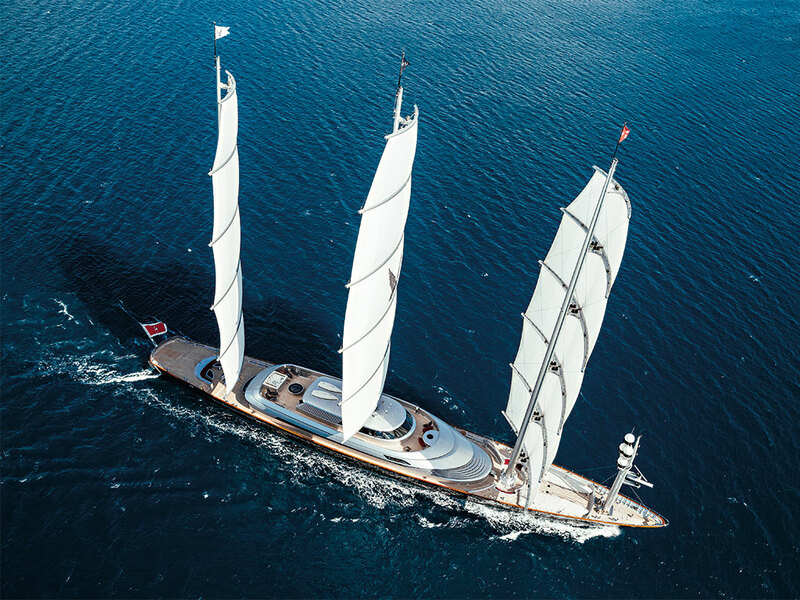 Burgess has been involved in some of the largest and most impressive yacht builds and sales in recent years, including technical consultancy and project management of the 180 metre Azzam and the sale of the iconic 88 metre Maltese Falcon. The company’s expansion over the last four decades has reflected the dramatic evolution of the superyacht industry, which is today valued at over €20bn. Demand for superyachts has been fuelled by the growth in ultra high-net-worth individuals, of whom there are currently 55,000 in the world, each with a net worth in excess of €115m. The boom years between 2000 and 2008 resulted in a huge surge in yacht construction to meet insatiable demand, with easy finance and inflated pricing resulting in around 3,600 yachts over 30 metres being on the water today. Around 28 percent of these are over 45 metres, with only a quarter of the total fleet available for charter. A typical weekly charter rate for a 50 metre motor yacht accommodating up to 12 guests with 12 crew is €230,000, plus 40 percent for operating expenses. The credit crisis in 2008 temporarily paralysed the superyacht industry, but this has resulted in a sobering process with greater parity between supply and demand, and a rationalisation of pricing levels. There are currently 350 pre-owned yachts in excess of 40 metres for sale, and a total of €3.45bn in yacht sales was recorded in 2015, with 2016 expected to return comparable numbers. The new-build sector recovered more slowly from the crisis, but the mood has returned to optimism, with around 430 superyachts over 30 metres currently under construction globally. Europe retains 76 percent of the new-build market, led by Italy and the Netherlands. Around 42 percent of new builds are over 45 metres, and more are over 100 metres than ever before, with Germany leading on the largest builds, although the highly customised 100 metre-plus sector is not a volume market. The new generation of superyachts has moved apace with the times. Technology surrounding power and propulsion is creating more fuel-efficient vessels with a lower carbon footprint. Similarly, electronics, communications and entertainment systems have advanced significantly, while design trends are more focused on indoor/outdoor living, with liberal use of large expanses of glass and expansive sea-level beach clubs to enable closer engagement with the sea and water toys. Although the superyacht industry has overcome more than one recession, and has demonstrated enough resilience to flourish, it has also become a much more complex environment. The rules and regulations governing how large yachts are built, crewed and operated can be a minefield without expert advice and guidance, as can European tax legislation on ownership and charters. In order to gain maximum enjoyment from the superyacht experience, whether buying a pre-owned yacht, building a new one, operating an existing yacht or booking a charter holiday, it pays to seek the specialist services of a professional and well-established company.